SINGAPORE (THE NEW PAPER) - When a Sentosa Cove resident started keeping tilapia five years ago, they bred quickly and he ended up with hundreds of them. Now he has only two left after the rest were eaten by otters in more than 20 attacks over the past two years. The resident, who wanted to be known only as Mr Chin, said that he and several of his neighbours have lost so many fish to the otters that they have resorted to desperate measures to keep the mammals out. He has put up a barbed wire fence and motion sensor lights, while a neighbour has installed a low-powered electric fence. But nature experts say these measures may not work because otters are intelligent animals that will find ways to get past these obstacles. Last July, My Paper reported that a Sentosa Cove resident lost $64,000 after her koi ended up as otter food. The problem seems to have worsened since then, with about 20 home owners in the posh neighbourhood having problems with otters. Hotels and condominiums have also been affected, with a hotel losing about $85,000 worth of fish over the past eight months. Mr Chin told The New Paper on Wednesday that he was devastated to see his tilapia and other fish wiped out. “Most of their bodies were not eaten. The otters just left the carcasses on the ground. I was shocked by the brutality and violence of the scene when I first saw it,” he said. In an attempt to save his remaining fish, Mr Chin installed the barbed wire fence and motion sensor lights two weeks ago. Another resident, Ms Constance Cheng, lost 22 of her 25 koi in two attacks last October. She gave away the three that survived. She had bought two koi at just $8 each and the others at $60 to $80 each. Ms Cheng then bought five tilapia at $10 each in February. On April 2, when she returned from Japan at about 4am, she saw an otter near her pond. Of the other four tilapia, three had vanished. She is left with the sole survivor and about 30 offspring. About two months ago, Ms Cheng installed a battery-operated, low-powered electric fence, costing about $380, around her pond as a temporary measure to keep out the otters. Another resident, who declined to be named, said she has seen two otters on the footpath and in her swimming pool this year. The founder of nature conservation group Nature Trekker, Mr Ben Lee, 53, thinks the measures to fend off the otters would not be effective. He said: “Motion sensor lights will not bother the otters. The electric fence may give them a scare, but otters are strong and agile creatures. Mr N. Sivasothi, a biological sciences lecturer at the National University of Singapore (NUS), warned that such deterrents could be a hazard to children and pets such as cats and dogs. “They are potentially dangerous in residential areas. Simple fibreglass barriers for koi ponds, for example, would be enough to prevent otter access,” he said. The divisional director of operations at Sentosa Leisure Management, Mr Koh Piak Huat, said it had received only a small number of otter-related feedback in Sentosa this year. “As Sentosa is surrounded by water, the presence of these semi-aquatic mammals can be expected at the coastal areas, and we welcome them as an integral part of our island’s wildlife,” he said. The Agri-Food and Veterinary Authority (AVA) received 31 instances of feedback on otters, mostly about sightings, in the whole of Singapore from January last year to June this year. Only a small number were on nuisance issues, such as the loss of fish from private ponds to animal attacks. A spokesman said that inspections were conducted at the affected households and the residents were advised to take preventive measures. They include covering the fish ponds with netting or erecting a small barrier around them. AVA added that the Otter Working Group, comprising AVA, National Parks Board, PUB, NUS, Animal Concerns Research and Education Society, Wildlife Reserves Singapore and members of OtterWatch, is working on solutions to otter issues, including those in Sentosa. The otters have hit not only homes but also hotels and resorts in Sentosa. Sofitel Singapore Sentosa Resort & Spa has suffered one of the biggest losses so far — about $85,000 worth of arowana and koi since last December. In a video taken two weeks ago, an otter is seen swimming and scurrying out of the resort with a fish gripped in its jaws. General manager Frederik Deman told The New Paper on Thursday: “We have regular visits of otters eating koi. They jump inside the ponds and take the fish. Amara Sanctuary Resort Sentosa lost more than 50 ornamental fishes during the period — late last year till June — when otters were seen in the resort. 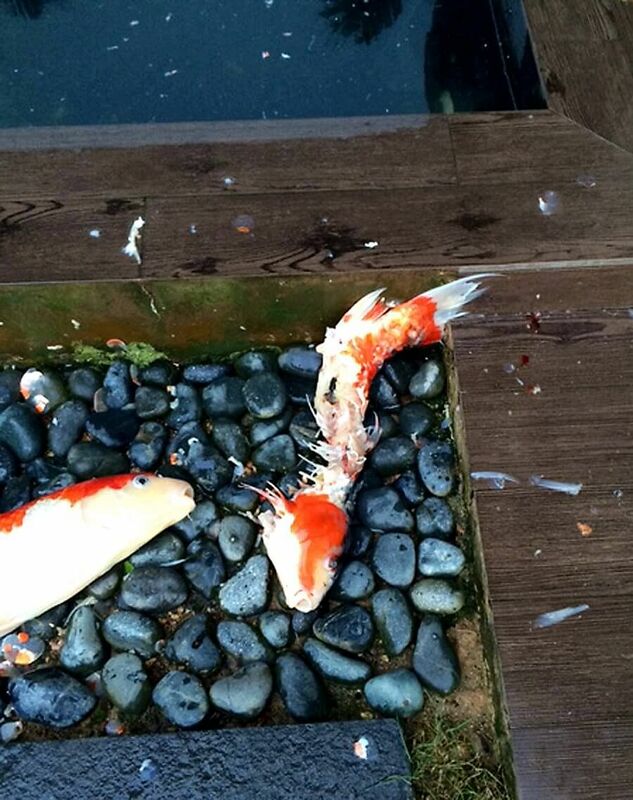 Remains of the fishes were found around the pond after the resort’s associates saw the otters feeding on them. Its spokesman said: “The otters were able to discern their prey by consuming only the larger fish, and (choosing) to ignore the fingerlings and smaller fish remaining in the pond. The otters have not been seen on the property since June. Last year, Shangri-La’s Rasa Sentosa Resort & Spa relocated fishes in its pond after some of them disappeared during the time otters were seen on the island, The Straits Times reported. A spokesman for the resort said it has not had problems with otters of late. A few condominiums on the island also had their fishes taken by otters and their ponds have been empty for one to two years. 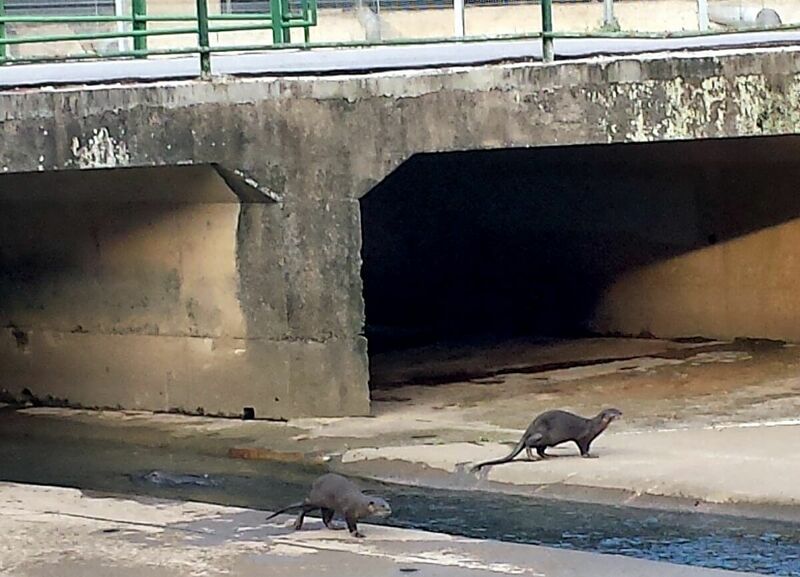 Anyone who sees the otters may contact the Sentosa Rangers at 1800 RANGERS (726-4377) for assistance. The Agri-Food and Veterinary Authority of Singapore (AVA) advises the public not to approach, disturb, feed or try to catch any wildlife. To provide feedback on wildlife issues, the public can contact AVA at 1800 476-1600. Otters are not only cute but also intelligent, say experts. There are two species of otters here — the smooth-coated otter and the small-clawed otter. “Smooth-coated otters are larger than cats, they’re really big,” Mr Lee said. 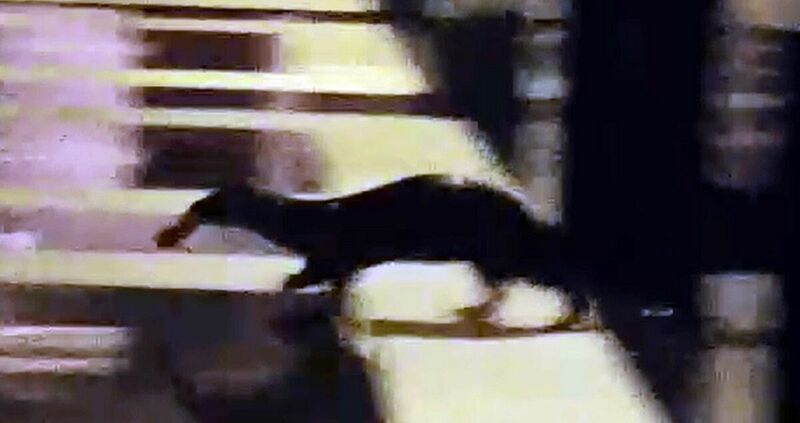 Sentosa Cove residents told The New Paper on Wednesday that they have seen an increase in otters around their homes over the last two years. Mr N. Sivasothi, a biological sciences lecturer at the National University of Singapore, said there are about 50 smooth-coated otters living in Singapore. “The current population has not increased over the past year or so. Otter enthusiast Jeffrey Teo, 45, said there are three reasons that people are seeing more otters now. Mr Lee said what the Sentosa Cove residents are experiencing may just be a congregation of otters in one place. “They will go for fishes in ponds as they are big and easy to catch,” he said. Experts agree that otters are not a danger to humans. “Otters can be aggressive by nature, but they are not prone to attacking other animals or humans unless provoked,” said Mr Lee.